Part boutique shopping experience, part bar scene, and all history, exploring the Jerome State Historic Park and then the rest of Jerome is an amazing way to spend a day. Jerome State Historic Park is located in the mountains between Flagstaff and Prescott, Arizona. Explore the park and learn about the rich history of the area. Make it a full day of exploring – once you’ve completed your tour of Jerome State Historic Park, check out all the other local haunts. What can I see and do at Jerome State Historic Park? History: Chock-full of history, Jerome is an ideal place for those history buffs wishing to brush up on their early Arizona-territory history. Shopping: From small boutique shops to art galleries, if you’re looking for some type of souvenir that shows the true heart of Arizona, you’ll find it in Jerome. Dining: A day trip to Jerome just enjoy the food is not unheard of for Prescott residents. There are many inexpensive dining options along the beaten path and even a couple high-end gems overlooking the town. Beautiful sweeping views are complementary, of course. Scenic Drive: While the drive to Jerome from Prescott might not be for the weak of heart (sharper-than-average turns on a narrow two-lane road) it is a beautiful, awe-inspiring ride. This is a special favorite for those on motorcycles who wish to take in the unobstructed view above. Where is Jerome State Historic Park? 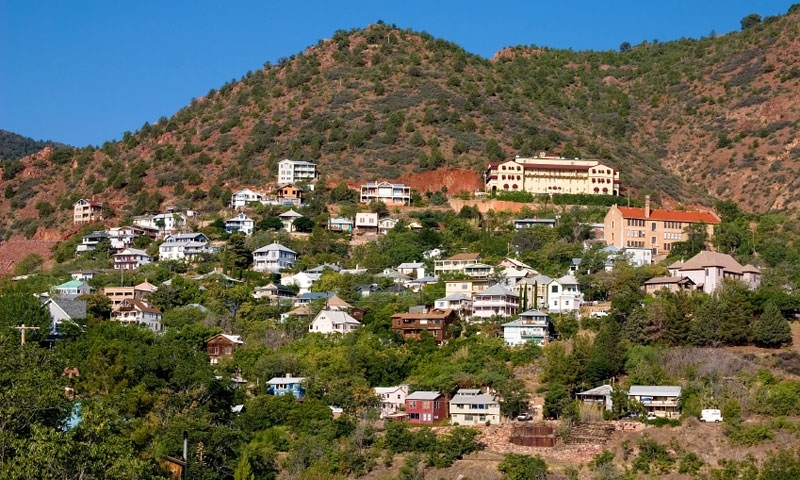 The park is located at 100 Douglas Road in Jerome, Arizona, roughly an hour from Prescott. You’ll want to exit Prescott by what the locals call “the back way” – using Highway 89 to Highway 89A. You’ll follow this road for about 20 miles of twisting mountainous highway until you find yourself right in the heart of Jerome, Arizona. You can see the park from nearly everywhere in Jerome, so be sure to hit all of the haunts as well. When is Jerome State Historic Park AZ open? The Park is open 8:30AM to 5PM on Thursdays, Fridays, Saturdays, Sundays, & Mondays. It is closed on Tuesdays and Wednesdays. How much does Jerome State Historic Park cost? Adults and children 14 and up are $5.00 each. Children between 7 and 13 are $2.00 each and children under six are free. If you have any questions, contact park directly at 928-634-5381 or visit their website.